Note:- Inorder to use ISP and UART0, we need to use FLASHMAGIC. LPC2148 has two IO ports (P0 and P1) each of 32 bit wide thus giving us total of 64 pins. Each pin can be used as GPIO (General Purpose IO) or can perorm alternate functions i.e ADC, I2C, SPI etc. 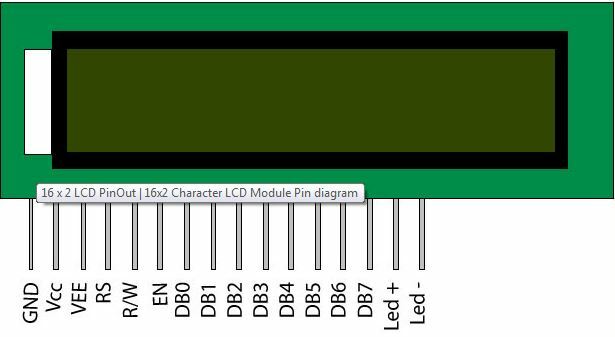 PINSEL/IOSEL are 16 bit wide registers, used for setting the function of the PIN. Function can be either GPIO or Alternate Function. There are 3 PINSEL registers in LPC2148 i.e. PISEL0/IOSEL0 (PORT0.0-PORT0.15), PINSEL1/IOSEL1 (PORT0.16-PORT0.31) and PINSEL2/IOSEL2 (PORT1.16-PORT1.31). GPIO Port Direction control register. IODIR are 32 bit wide registers, used for setting the direction of the PIN. Direction can be either input or output. 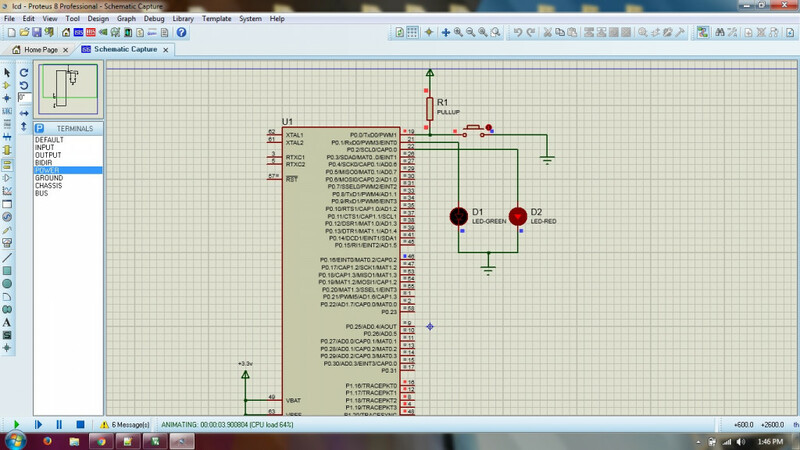 Writing 1 to a particular bit will set the PIN as output and writing 0 will set the PIN as input. Threre are 2 IODIR registers i.e. IODIR0 (PORT0.0-PORT0.31) and IODIR1 (PORT1.0-PORT1.31). For eg- if we want to set PIN 3 of PORT0 as output, IODIR0 = 0x00000008; Here all other PINs except PIN 3 are set as input (because they are all 0s) and PIN 3 is output (It is 1). GPIO Port Output Clear registers. IOCLR are 32 bit wide registers, they controls the state of output pins. Writing ones produces lows at the corresponding port pins and clears the corresponding bits in the IOSET register. Writing zeroes has no effect. There are 2 IOCLR registers i.e. IOCLR0 (PORT0) and IOCLR1 (PORT1). GPIO Port Output Set registers.IOSET are 32 bit wide register, they controls the state of output pins in conjunction with the IOCLR register. Writing ones produces highs at the corresponding port pins. Writing zeroes has no effect. There are 2 IOSET registers i.e. IOSET0 (PORT0) and IOSET1 (PORT1). GPIO Port Pin value register. The current state of the GPIO configured port pins can always be read from this register.